He claimed his ministry was actively working on improving air quality not just in Delhi but across the nation. Prakash Javadekar claimed his ministry was actively working on improving air quality not just in Delhi but across the nation. On the day The Indian Express launched an investigative series on the air quality in Delhi, Environment Minister Prakash Javadekar said it was good that the media was highlighting the issue as it would force local authorities to take urgent action to curb pollution. “It is good that some newspapers are taking up the real issues related to air pollution. I welcome this scrutiny. 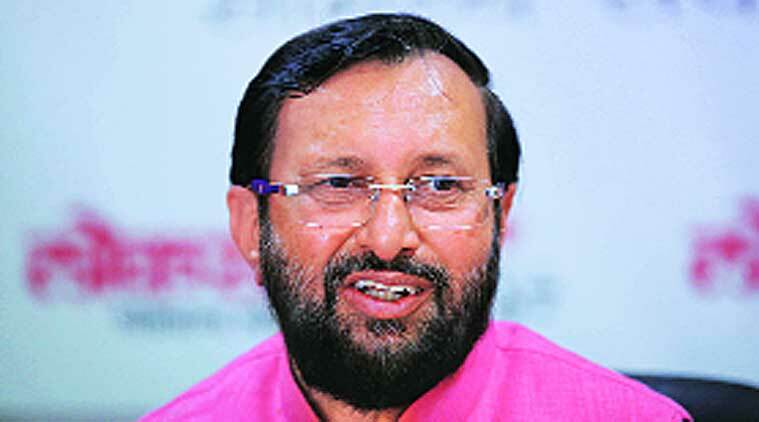 Such scrutiny will put pressure on the pollution bodies and local authorities to take action,” Javadekar said. “Air pollution is a very serious concern and it is on top of our radar (at the Environment Ministry),” he said. In Delhi, however, the job of ensuring clean air was the responsibility of the Delhi government, Javadekar said. “We (the Environment Ministry) have held three rounds of talks with the Delhi government on issues like this. It was not just about air pollution but also about sewage treatment and management, and garbage collection. The Delhi government was supposed to submit an action plan to us by today. But we have not yet received the action plan. In Delhi, the Delhi government is in-charge. They are the implementing agency,” he said. However, he claimed his ministry was actively working on improving air quality not just in Delhi but across the nation. “The mindset in India is that once the CNG is done, the job is done, or once metro is done, the job is done. It is not like that. Monitoring and improvement of ambient air quality is a continuous process and requires sustained effort. It has to have the involvement of the people as well. That is why we have decided to launch a public campaign in 20 Indian cities that will have ‘Fresh air is my birth right’ as its slogan,” he said. Senior Congress leader Ahmed Patel also supported The Indian Express report and asked the government to take action. “#DelhiPollution is a matter of grave concern. Govt can consider gathering all stakeholders for a comprehensive response,” he said in a tweet.